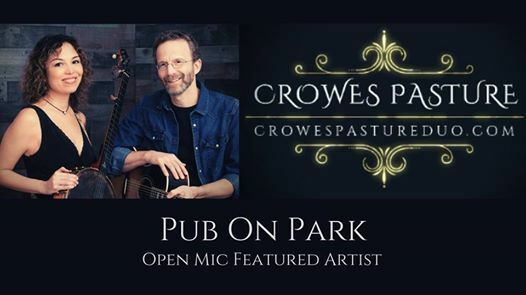 Crowes Pasture will be the featured artist at this fantastic open mic, hosted by Joanne Lurgio! Original music encouraged, but covers are welcomed, too (family friendly, please). Come play a few tunes or just sit back, relax and enjoy the music! Great menu and full bar available. Off the southern coast of Cape Cod bay is a hidden salt marsh known as Crowes Pasture, where the Atlantic Ocean tides recede twice a day to reveal intricate patterns on the shifting sands. To Monique and Andy, this recurring cycle of creation and discovery evokes their own musical journey. The duo performs original music and eye-opening covers that reflect a mutual passion, sense of discovery and celebration of life. Their tightly blended vocal harmonies are mixed with an expressive instrumental style that is best described as a banjo-guitar romance. 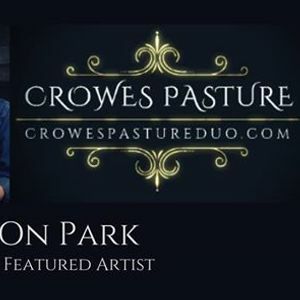 Crowes Pasture’s style of escapist folk transports and connects listeners through universal experiences in their “skillfully crafted, emotional songwriting" (Chris Eastburn, award-winning composer). For more information and tour dates, visit www.CrowesPastureDuo.com.